Upgrade your AllDolly from the Standard Wheel to Locking Wheels. Replace the two standard caster wheels with the stem on the pivot support leg of your AllDolly. 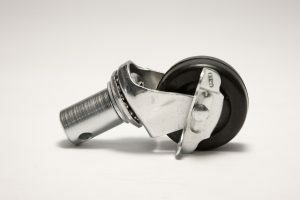 A pair of Locking Wheel, with Stem Assembly Kit.